At an event to celebrate the continued restoration and preservation of the Reserve-Godchaux House, Associated Terminals Chairman David Fennelly announced a surprise contribution commitment to the cause. 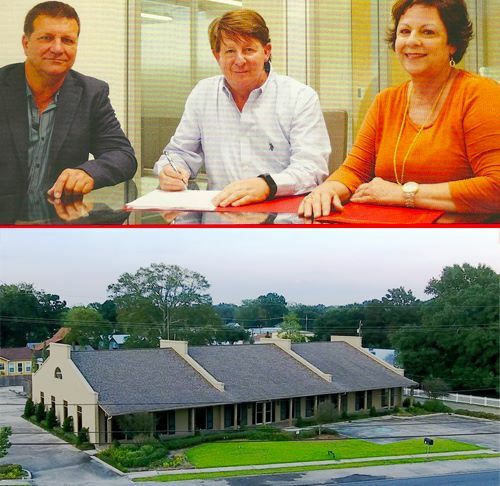 In addition, Associated Terminals donated the company’s former headquarters located at 1342 Highway 44 in Reserve, LA to the Godchaux-Reserve House Historical Society. In December, the 40th Judicial District Attorney’s Office signed a 10 year agreement to lease the building and will move from their Belle Terre location to Reserve in January 2018. All profits from the lease will go to the restoration of the Godchaux-Reserve House. The Society will continue to operate from the rear building of the complex.